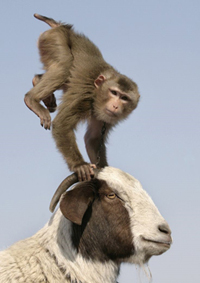 I love this photo of the Monkey hanging onto the Goat's horns, so indicative of the way the Monkey makes it's way into 2016 and our lives after the Goat year of 2015. Monkey people can be mischievous (they love to stir things up), irreverant, rule breakers, unconventional, and love to make people laugh. Generally, they are the life of the party - fun people to have around. Never a dull moment around a Monkey person as they have alot of energy, are continually on the go and can be unpredictable. Put that character analysis into the Year of the Monkey and you can get a sense of the energetic story for 2016 (which I will cover in greater detail below). The Year of the Fire Monkey begins on February 4th, 2016. It should be clarified that the Solar New Year is based on the Hsia calendar or Solar Calendar beginning February 4, and the Chinese New Year celebrations are based on the Lunar Calendar. The Chinese acknowledge the yin and yang energies of each year; the yang (solar, masculine) new year, and celebrate the yin (lunar, feminine) new year. 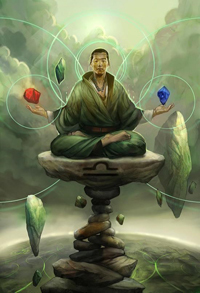 If you look at the table above, you will see Yang Fire sitting above the Yang Metal the Monkey. In the Five Element Theory, Fire burns Metal or attacks metal. As they are both Yang energies, this is strong Fire attacking strong Metal. Yang Fire is like a forest fire burning out of control and represents anger and passion and Yang Metal is like an axe and represents cold hard logic. This indicates the ISIS situation will escalate in 2016. Kim Jong-un is turning up the heat (Yang Fire) in North Korea with the hydrogen bomb test (Yang Fire). Strong military action (Yang Metal) will be tempting but best avoided. As Yang Fire relates to passion and anger and Yang Metal represents heavy metal and cold hard logic, there may be more crimes of passion this year involving knives, axes and guns. Yang Fire relates to passion, sport and creativity, so it will be a upbeat, energetic and creative year although the influence of the Yang Metal will bring us down occasionally with some doom and gloom. Yang Metal relates to concentration, focus and discipline, so I feel there will be alot of new innovations, designs and inventions this year. As Yang Fire relates to the heart, there may be an increase in heart surgery this year (metal relates to knives or sharp instruments). The kidneys (water) has a strong influence on the health of the heart in Chinese medicine, so drink lots of in 2016. The lungs represent the Metal element - as Metal is under attack by Fire (inflammation), I feel colds and flu may be more prevalent this year. In Chinese Astrology, the Monkey forms a Water combination with the Dragon and the Rat, and pulls in the energy of the Monkey year earlier than normal. In December of 2015 (Rat month) we saw the share market drop as Water weakens Metal - money and the sharemarket. This will continue throughout 2016 with significant volatility. I expect the share market will start to improve around February of 2017. Due the Water combination, we also saw alot of floods around the world in December of 2015 (Rat month), and I expect this will continue on and off throughout 2016. Weather extremes such as big storms are on the agenda as Yang Fire and Yang Metal are attacking each other. The Monkey is a Travel Star indicating this will be a very busy year with lots of people on the go - travelling, moving house, changing jobs, going out. Its a year of lots of activity. Industries that will do well in 2016: Travel, airlines, hotels, holiday rents, real estate agents, insurance, removalists, adrenaline sports, sports, movies, tv, hair and makeup, beauty industry, glamour industries, relaxation therapies, transport, motor vehicles, party planners, event organisers, amusement parks, recreational drugs. Famous People: Year of the Monkey - you will notice alot of these people are comedians or have a good sense of humour. Monkey people are good to have at a party - they liven things up. Hugh Jackman, Eric Bana, Kylie Minogue, Naomi Watts, Lucy Liu, Selena Gomez, Mily Cyrus, Ryan Gosling, Jake Gyllenhaal, Rebel Wilson, Channing Tatum, Jennifer Aniston, Tom Hanks, Daniel Craig, Josh Brolin, Celine Dion, Patricia Arquette, Brendon Fraser, Wil Smith, Elizabeth Taylor, Bette Davis, Gaugin, Byron, Ted Kennedy. 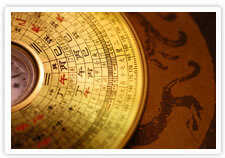 In chinese astrology we analyse your hour pillar, day pillar, month pillar and year pillar. Each pillar has two characters. For instance, 2016 is the year of Yang Fire over the Monkey (Yang Metal). Visit Chinese Astrology Chart - Four Pillars Calculator to calculate your four pillars for free. If you have Yin Wood or Yin Earth, the Monkey is your Nobleman which indicates helpful people on earth and in spirit will look after you and give you the information or answers you seek in 2016. If you have a Tiger, Horse or Dog, the Monkey is your Travel Star so you will feel the need to travel, maybe move house or change jobs in 2016. Variety, movement and change will drive you. Please note: If you have a Tiger, the Monkey also forms a Travel clash so you need to be careful of slips, trips, falls, car accidents, delays and hassles whilst travelling. Make sure you take out travel and health insurance in 2016. If you have a Tiger and a Snake in your Four Pillars, the Monkey forms a Fire Penalty in your life which triggers hidden enemies and secret saboteurs so read the fine print and take no-one on face value. 2016 adds up to the number 9 in numerology which relates to Pisces and the planet Neptune. Completely the opposite of last year's emphasis on position, status, power and money, 2016 will have a more esoteric flavour. 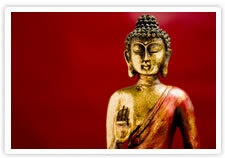 This a good year for tarot, feng shui and many other alternative services. It will also be good for psychology & counselling. 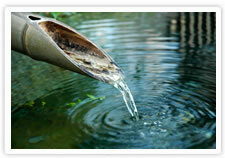 Water industries will do well such as fish farms, shipping or mining for oil or gas in water. 9 is the end of a nine year cycle so it will be interesting to see what we let go of in 2016 to make way for the brand new cycle in 2017. The Hermit Card (the 9th Major Arcana card of the Tarot) gives us guidance in a 9 year. The Annual Flying Stars are the feng shui energies that relate to the compass directions on the Earth Chart or World Chart for the 2016. When not analysed in conjunction with the Flying Star Chart of a building, the Annual Flying Stars for the compass directions are more general, but may have some impact on your life this year, especially if your home, shop, office front door, or bedroom is located in the North East. If your home or business main door is located in the South East, your financial prospects will be good this year. Ensure your entrance looks beautiful, tidy and inviting. Add some beautiful metallic objects such as statues, vases, picture frames etc (gold and silver) to help support the 1 Water Star. If your bedroom is located in the South East, your health and relationships will be good if you clear the clutter out of your bedroom, and ensure it looks beautiful, relaxing and tidy. If your townhouse, villa, apartment or shop is located in the centre of a block, your health may deteriorate this year thereby affecting your finances and business due to an increase in poor health and staff sickness. Place 6 Chinese Coins at the entrance to your home or business. The sound of metal also weakens the sickness star. Use a Tibetan Tingsha, Tibetan Bell, Singing Bowl or Brass Bells and chime on a regular basis. Say an affirmation such as 'money comes easily and frequently' every time you chime. If your bedroom is located in the centre of your home, you may have more health problems this year which could put a strain on your relationships. Place 6 Chinese Coins in the bedroom. The sound of metal also weakens the power of the sickness star, so I recommend a Tibetan Tingsha, Tibetan Bell, Singing Bowl or Brass Bells which must be chimed on a regular basis. Every time you chime, say a positive affirmation such as 'I have perfect health and relationships'. If the main door to your home or business is located in the North West, you may be financially worse off in 2016 with arguments, conflicts and legal issues causing problems. If your shop or business is located in the North West section of a building, you may be financially worse off in 2016, with the risk of arguments, conflicts and legal problems such as fines, lawsuits and theft. Place 6 Chinese Coins at the entrance to your home or business. The sound of metal also weakens the conflict star, so I recommend a Tibetan Tingsha, Tibetan Bell, Singing Bowl or Brass Bells which must be chimed on a regular basis. Every time you chime, say a positive affirmation such as 'I am a magnet for money'. If your bedroom is located in the North West of your home, your relationships will be less harmonious and your health may be more challenging. Place 6 Chinese Coins in your bedroom and use a Tibetan Tingsha, Tibetan Bell, Singing Bowl or Brass Bells here to weaken the conflict star. Every time you chime repeat a positive affirmation such as 'I have perfect health and relationships'. If the main door to your home or business is located in the West, you may find you have more interest for your products and more romantic proposals too. It also supports academic success this year! To support the energies, if you main door is located in the West, keep the entrance tidy and visually beautiful. If your bedroom is located in the West your health and relationships may improve if you keep the bedroom tidy and attractive. However as romantic liaisons are stimulated, you could have problems with competition, particularly if the bedroom is a mess and looks terrible. If the front door of your home or business is located in the North East, the Misfortune Star may negatively impact your finances. 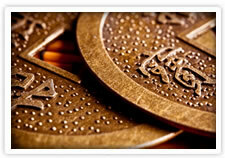 Hang 6 Chinese Coins at the entrance to your home or office this year. Every time you look at the coins, say a positive affirmation such as 'I am a magnet for money'. If your bedroom is located in the North East of your home, your health and relationships may be very challenging this year. The sound of metal neutralises this Misfortune Star, so I recommend a Tibetan Tingsha, Tibetan Bell, Singing Bowl or Brass Bells, which must be chimed once a week. Say an affirmation in the bedroom such as 'I have perfect health and relationships' every time you chime. If the front door of your home or business is located in the South, power, fame and authority are stimulated. To bring out the positive energies of this star - good relations with authority such as your boss, police, councils etc and powerful work roles that come to you, you must keep this area tidy and visually beautiful. Remove all clutter! If this area is untidy and looks uninviting, you may stimulate problems with power and authority. If your bedroom is located in the South, please ensure your bedroom is neat and visually attractive to bring out the positive qualities which will enhance your health and relationships in 2016. If the front door of your home or business is located in the North, your finances may deteriorate this year with an increase in fire, accidents and theft. Place 3 or 4 lucky bamboo in a vase at the entrance to help diminish the negative energy. At least once a day, say a positive affirmation such as 'money comes easily and frequently' at the entrance. If your bedroom is located in the North, your health may be worse in 2016. Ensure you have a fire alarm in the bedroom, check all smoke alarm batteries and turn off all electrical items at night including electric blankets. 3 or 4 lucky bamboo in your bedroom will help to diminish the negative energies located here. Remember to say a positive affirmation such as 'I have perfect health and relationships' and 'my guardian angels protect me'. Congratulations! If the front door of your home or business is located in the South West, your finances and/or business will improve this year. Place a large red picture or rug at the entrance to your home or business. Make sure this entrance is used all the time this year as activity helps stimulate the prosperous 8 Water Star. If your bedroom is located in the South West of your home, your health and relationships will improve this year. Buy a lovely red rug, throw or picture and place them in your bedroom this year. Great news! If your home or business is located in the East, because of your success and growing reputation, your finances and business will improve this year. Place a large red rug at the entrance to your home or business. Make sure this entrance is used all the time this year as activity helps stimulate the fortunate 9 Water Star. If your bedroom is located in the East, your health and relationships will improve this year. Buy a lovely red rug, throw or picture and place them in your bedroom this year. The Grand Duke resides between 225 - 255 degrees South West/West this year. Try to avoid or minimize construction and digging here. If it is unavoidable, you may experience delays, equipment breakdowns and unforeseen obstacles. To welcome in the Year of the Fire Monkey, start de-cluttering your home, office or shop now. Remove anything that is broken, you don't like or don't use. Get rid of gifts you don't like which are hidden in drawers or cupboards somewhere. Sell them on Ebay or give them to your favourite charity. These things energetically and emotionally drag you down and keep you from moving forward. You will be amazed how good you will feel when you remove 'old stuff' from your life.